Though it is not a National Holiday, St. Patrick's Day is celebrated on March 17, the saint's religious feast day and the anniversary of his death in the fifth century. The Irish have observed this day as a religious holiday for over 1,000 years. It is celebrated as the time Christianity came to Ireland. On St. Patrick's Day, which falls during the Christian season of Lent, Irish families would traditionally attend church in the morning and celebrate in the afternoon. Lenten prohibitions against the consumption of meat were waived and people would dance, drink and feast--on the traditional meal of Irish bacon and cabbage. Generally, we celebrate with Corned beef and cabbage. 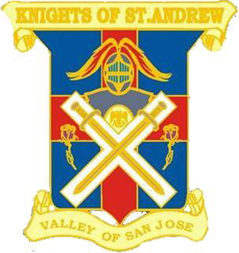 So is it to be with the San Jose Scottish Rite Stated Meeting Dinner. Make your reservations now. RSVP is not decoration do it now or "pay the piper" later. The first St. Patrick's Day parade was on March 17, 1762 in the United States. We are now less than a month away from the Scottish Rite Spring Reunion. Some degree teams are making practice schedules to be able to present interesting degrees to a new class of candidates. Brethren, how long has it been since you observed the Scottish Rite degrees? Plan to attend. Candidates do take notice when they are not the only ones attending the degrees. Easter comes early this year, March 31 and the traditional Maundy Thursday celebration, complete with the Seder meal, hosted by the Chapter of Rose Croix is being planned. Check your calendar and make your reservations if you plan to eat. 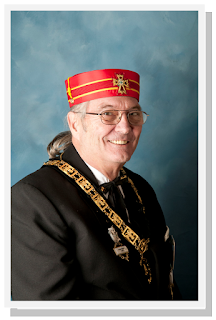 Be attentive during future meetings and functions of the Scottish Rite. Soon honors will be bestowed upon a few good men in the form of red hats, KCCH, and white hat(s) 33rd Degree. Our early congratulations to those deserving brothers. 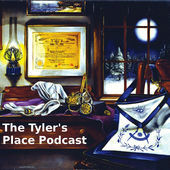 We look forward to your attendance at Stated meetings and function of the Scottish Rite. Bring a brother with you. Let us all promote Scottish Rite Free Masonry.